What are they feeding the Foer brothers? The youngest of three, after Franklin (“How Soccer Explains the World”) and Jonathan (“Everything Is Illuminated”), 28-year-old journalist Joshua Foer has just claimed his own spot on the best-seller list with “Moonwalking with Einstein: The Art and Science of Remembering Everything.” Funny, curious, erudite, and full of useful details about ancient techniques of training memory, the book also tells the story of the author’s own path to the US Memory Championship. 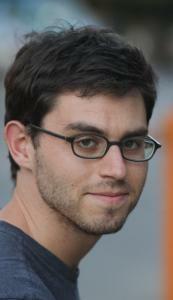 Foer, who grew up in Washington, D.C., and now lives in New Haven, will speak at the Brookline Booksmith on Wednesday. What were some favorite books you discovered in your research? There were so many. Obviously, Frances Yates’s “The Art of Memory” is the place to start. That was the book that created the entire academic field. And it’s a great book. Another fantastic academic book was “Memory in Oral Traditions,” by David Rubin. He took the field of oral tradition and applied everything that cognitive psychology brings to bear. That was really neat, and some of his insights made it into the book. What were literary models for you? Well, the book started in a different place than it ended up. I thought I was writing about this strange subculture of people who compete in memory contests. I didn’t realize it was going to be about my own experience. It’s hard not to mention George Plimpton, as somebody who gets involved in a story. I thought “Word Freak” by Stefan Fatsis was really good. He got involved in the world of Scrabble, not in a stunty way but because he was passionate about it. I was fascinated to read that printed books, and even writing, sparked a crisis around outsourcing memory. That began even before writing; it probably began with cave painting. But writing, and technology that made books accessible, and computers — they’re all part of a bigger story about how we changed our relationship to internal and external memory. You write, “Mere reading is not learning.” Do you think we overestimate reading as a tool for building knowledge? I wonder. I actually have no doubt that there are more efficient ways of learning than reading. But I don’t know that there are more pleasurable or altogether satisfying ways that have yet been invented. If we read books but can’t remember them well, should they count as books we’ve read? Does a tree that falls without anyone hearing it make a sound? I don’t know. It certainly makes the time spent reading feel wasted. But you have to have faith that it’s somehow making an impression. Do you believe it’s all in our memories somewhere? No, unfortunately, I don’t. The sad truth is that a lot of the things we forget are actually gone. Do you read in paper format, or have you switched to ebooks? I do both. I have a Kindle and I also read old-fashioned books. How are you finding that transition? Awkward. Because sometimes I want to hold a book and sometimes I want to hold a Kindle. Sometimes I wish I had the book on both. I think there will be a device at some point — maybe Kindle 10.0 — where we will all agree that this is a superior way to read. I’m not sure the first codexes appealed to everybody, but eventually everyone was like, “Yeah, this is better than scrolls.” I’m a technological optimist. Got suggestions for future Bibliophiles? Find us on Facebook, follow us at GlobeBiblio on Twitter, or e-mail amanda@amandalkatz.com.